Educator, technology expert, and social entrepreneur Adam Bellow will present the closing keynote on Wednesday, June 26. 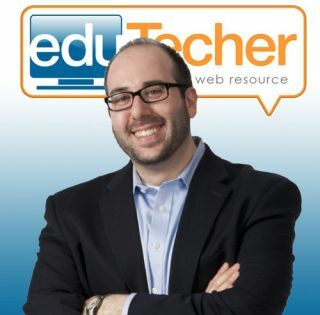 Bellow is best known as the founder of both eduTecher and the newly launched eduClipper, free Web tools that help students and teachers discover the best resources to enhance learning in and out of the classroom. As the author of “Untangling the Web,” Bellow’s keynote will explore how technology can transform teaching and learning to make a difference in students’ lives. TL: How has the state of edtech changed since you attended your first ISTE? AB: My first ISTE (called NECC at the time) was in 2009. It is amazing to think of the changes that have happened since then. Hardware has evolved rapidly, as it always does, but in 2009 there were no iPads and people recorded videos on Flip cameras. But hardware is always changing and evolving. I think the more profound change has been the strengthening concept of the PLN. #EdChat, the incredibly popular Twitter chat, was founded in 2009. It helped organize educators on Twitter and created powerful connections to people who worked in all aspects of education that were using technology to help student learning and empowerment. Another shift has been the technology itself. Before, we had software suites, services, and platforms that needed to be adopted school-wide. The Web (and the introduction of App Stores) seems to have moved more into an open network of one-off tools that allow students to create on their own and then integrate that into the lesson. The access that students have to these tools (both the hardware and software) has grown quickly and helped to level the playing field between adults and students to allow us all to be creators and sharers of what we like and what we make. TL: How have the leadership responsibilities changed for educators at all levels as tech continues to disrupt education? AB: The real disruption is that we can’t ignore technology any longer. Even schools that ban social networks in the classroom are using those same networks to connect their school with the community. The ability to connect with so many educators has made us all to be better practitioners of the craft of learning and by extension, teaching. We now have a community of learners made up of admins, teachers, and students. I think one of the biggest responsibilities that we now have is to model appropriate uses of all the great technology to bring greater meaning into our classrooms/world/lives while being transparent about our learning process. This is all new for everyone. Even the early adopters struggle to keep pace with the rapid changes. I think that slowing down to think through the decisions of our actions will be the next challenge and change on the horizon. We can, should, and really must be open to it all—but we can’t adopt it all. TL: What are your hopes/projections for attending an ISTE show five of years hence? • ISTE Conference (Presentations): While it is impossible to emulate smaller conferences when you have over 15,000 attendees, I do like the movement towards more choice and sessions that allow more people to speak like the IGNITE sessions and smaller roundtable discussions. I wouldn’t be surprised if one of the conference days was a slightly more formalized EdCamp or SocialBloggerCon/HackEducation event. There could be a day dedicated to a specific thread or segment of the audience, say High School Physics, and then those attendees get a room to work in and form an agenda of what they want to cover for the day. • Exhibit Hall: I look at the vendor floor at ISTE to be like Home Depot-- hammers and nails for trained (and learning) carpenters. I think we will see more tools that support freedom to express learning creatively, but on the other side of that coin, I would be willing to bet that 95% of them will try to force a strained alignment to CCSS. Argh — that is a post for another day. Whatever it looks like, I am excited to be a part of the ISTE community and will be actively involved as it moves forward and evolves.